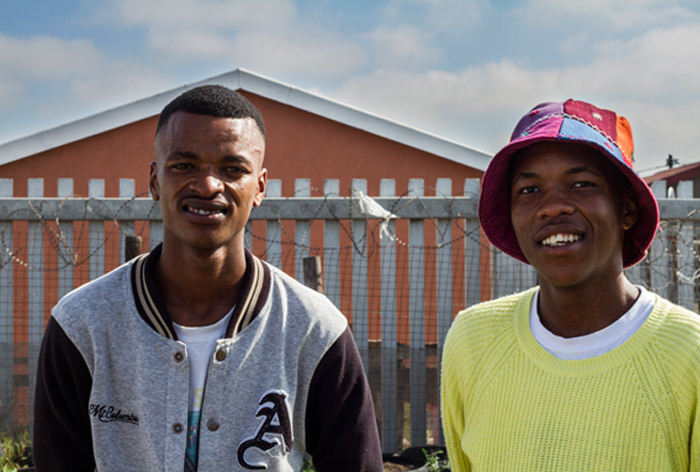 The creative heart of Site C in Khayelitsha is a vibrant group of young peeps. They all share a common passion, positive leadership and commitment to bring about innovation, hope and positive change, starting from their community. One of the Change Makers episodes featured Xolisa Bangani and Ikhaya Garden, the vegetable garden at Isikhokelo Primary School that is spearheading the movement to make “gardening cool”. Ekasi Project Green is a brother organization, based at Vusamanzi Primary School. It was started in September 2014 by six friends, who took inspiration from their makhulu’s garden in the Eastern Cape, with the idea of guaranteeing a healthy diet for the students. 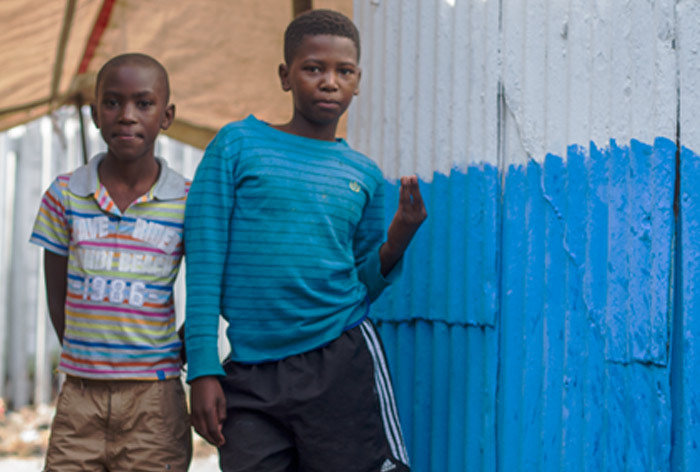 We met up with Abonga Tom and Sizwe Nyuka Mlenzana, who have been friends since they were kids. In the ten years I have lived in Cape Town, this was my second trip to Khayelitsha. “Young people like to believe in what they see, they watch us and want to get involved. Ekasi is a role model, by doing we motivate children to explore their talent and creativity. Our passion is fueled by the difference we see we’re making and the excitement of the students at Vusamanzi Primary School when they come running to help and play”. The overall influx of bad news coverage is acting like a counter agent to change, and this is why Sizwe, Abonga and friends are joining forces. Ekasi is also working in partnership with Slow Food Youth Network, an organisation from Italy that promotes good, clean, fair food with a focus on sustainability. “Slow Food Youth Network is very supportive in everything we do, from the WE LOVE OUR SEEDS workshop and Funky Vegetable Festival we organized here in Khayelitsha. We also volunteer for the organisation and presented Slow Food in Good Food and Wine at CTICC”, Sizwe tells me . Sizwe recently returned from France, where he attended the 3rd Eating City Summer Campus, alongside 42 people from all over the world. The Campus offered a global platform where participants could discuss the impacts of food system on natural elements, identify the problems and also come up with solutions. They wrote a declaration which will be presented in Milan this October in the event called Terra Madre Giovani – We Feed the Planet and again in Paris at the COP21 summit to Ban Ki Moon the general secretary of the UN. Sizwe tells me “What I learnt is that as young people we need to be involved in this movement because young people are the future we need to be part of the solution when it comes to climate change, food sovereignty and sustainable ways of living”. While I was writing this post, I scrolled down my news feeds, and I stumbled upon an article on the TED page. “Leadership Advice from the Dalai Lama”, some of my personal favourite keywords had come up and I couldn’t ignore it. One of the quotes seemed fit to show the collectiveness of Ekasi Garden’s story.